Rodney was Visiting Professor of Binary Economics at Trisakti University, Jakarta where he taught on the international postgraduate Islamic Economics and Finance program. He is a Cambridge MA; a qualified UK Barrister; and a well-known paper presenter and lecturer particularly at conferences dealing with money, the real economy, and social and economic justice. He is a co-founder of the Global Justice Movement www.globaljusticemovement.net and the author of www.binaryeconomics.net In 2000 he received the (Martin Luther) King-Kelso Award. He broadcasts with various TV and radio stations. Rodney’s first book on binary economics The Two-factor Nation was published in 1976. He is co-author (with Robert Ashford) of the standard textbook on binary economics Binary Economics – the new paradigm (1999). 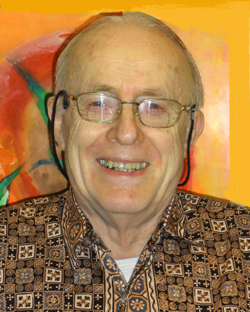 Rodney Shakespeare is co-author (with Peter Challen) of the subsequent text Seven Steps to Justice (2002) which further develops binary economics, and is also author of The Modern Universal Paradigm (July, 2007) containing later developments in particular relating to paradigmatic understanding and the appeal of binary economics to people of faith and of good faith. Rodney is Chair of the Committee Against Torture in Bahrain.